What I had initially thought to be only 2-minute examination of the DVDs’ quality turned into over 2 hours of watching the “Companions of the Cave” film. Dubbed in English, the Iranian-produced movie is about seven young Unitarian Christians in Asia Minor during the Roman rule sometime in 300 CE. In order to preserve their faith, the seven youth escaped from the tyranny of the pagan Roman ruler and took shelter in a cave. As part of God’s plan and sign of His omnipotence, they were made to sleep inside the cave for generations. When they woke up and went out of the cave, they realized that they stayed there for a long period of three centuries! As mentioned in Surah 18 of the Qur’an, the Seven Sleepers found out that their town turned into a bustling city no more ruled by polytheists but by those who professed to believe in God and His Messiah, Jesus the son of Mary. 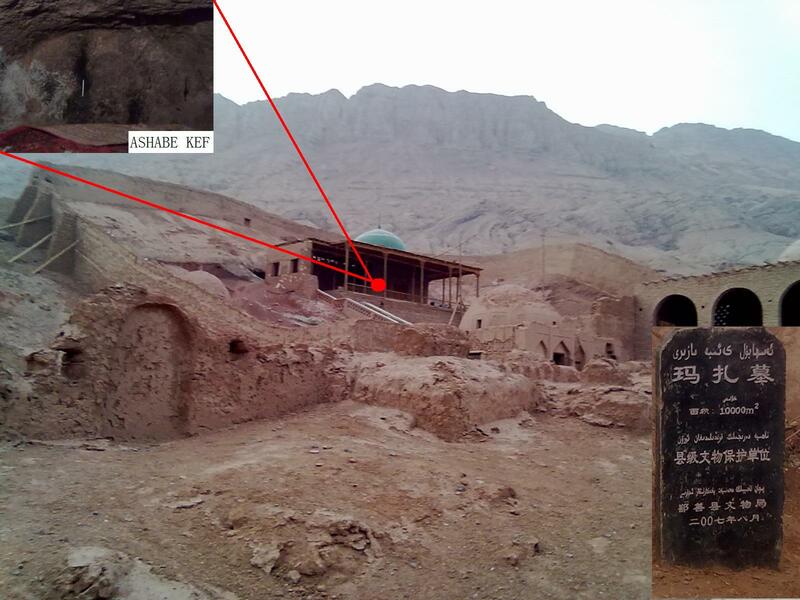 Yet, unexpected by the people who were anxiously waiting for them at the cave’s opening, the Companions of the Cave preferred to remain inside where they passed away while in a state of prostration in prayer. A recurring theme in this story is what is called ghurbah in ethics and mysticism. The Arabic word ghurbah denotes ‘remoteness’ and ‘distance’ and its derivative gharib means ‘stranger’, ‘alien’ or anything which is far in relation to something else. This remoteness or farness may not only be physical but also spiritual, intellectual or emotional. In spite of being Romans of noble ruling class, the seven believing youth were strangers in their hometown where worship of the Roman gods was then prevalent. That’s why they escaped from this state of ‘strangeness’ and sought refuge in a cave where they felt being ‘home’. Yes, when they came out of the cave, Roman paganism was no more yet they were still strangers! This state of ghurbah is a recurring theme throughout the annals of history. Thousands welcomed Muslim ibn ‘Aqil on his arrival in Kufah. The following day, they would scatter on seeing him and walk away as if they had never known him! After the event in Karbala, the enchained womenfolk and children of Imam Husayn’s (‘a) camp were ‘strangers’ to the Muslim masses. So was the message of ‘Ashura to them. Even today, Imam Husayn is such a gharib to the followers of his grandfather Muhammad (s). Every year, local Muslims would welcome Muharram with the beating of drums in weddings and other joyous occasions. Palestinians of Gaza are worse than strangers as they stand amidst the rubbles of their homes, looking for the remains of their loved ones. Much worse strangers than them are the Arab rulers who are abandoning them at the mercy of their ‘cousins’. Equally alien to ‘decent living’ are the internally displaced people in Maguindanao and other places. Indeed, much alien to humanitarianism are those who have a hand in their ordeals by omission or commission. And everyone is a gharib in his or her own watan (hometown). Stranger is the husband whose wife does not partake in the love of the Holy Household (‘a). Stranger is the parent whose child adopts a lifestyle repugnant to modesty and decency. Stranger is the wife who wakes up alone for the dawn prayer as the husband is in slumber. Stranger at home is the Ahl al-Bayt (‘a) follower whose siblings are Yazid-lovers. Stranger is the learned in the company of ignoramuses. Stranger is the pious in a holier-than-thou assembly. I belong to my Beloved’s town, not to the land of strangers. O Lord, unite me with Your friends!